Aviva Premiership Rugby club Harlequins have signed Scotland fly-half Ruaridh Jackson for the 2016/17 season. Commenting on the announcement, the Northampton-born 28 year-old said: “I’m extremely excited to be starting a new challenge with Harlequins, a club with a great history, tradition and one that plays in a style that is similar to my rugby philosophy. “After speaking to John Kingston and Conor O’Shea I could see how great a club it is. I also spoke with Tim Visser and he only had positive things to say; I’m looking forward to working hard and testing myself in a new environment. Having represented Scotland at U18, U19, U20, A, and 7s level, Jackson made his senior Test debut in 2010 against New Zealand at Murrayfield and has 28 caps to his name. 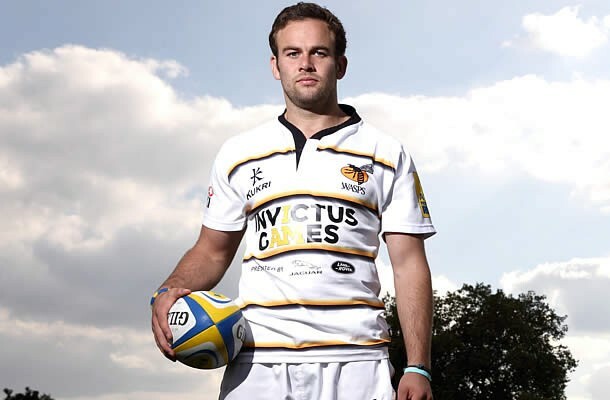 The fly-half joins Harlequins after two seasons with Wasps, a side he made 17 appearances for, scoring 72 points. A graduate of the Scottish Rugby National Academy, Jackson’s decision making, attacking mind set and kicking ability make him a consistent threat within an expansive playing environment. Confirming the news, Harlequins’ incoming Director of Rugby John Kingston said: “I’m really excited that Ruaridh will be joining us next season – his style fits the way we play perfectly and he will provide excellent competition in a key position for us.